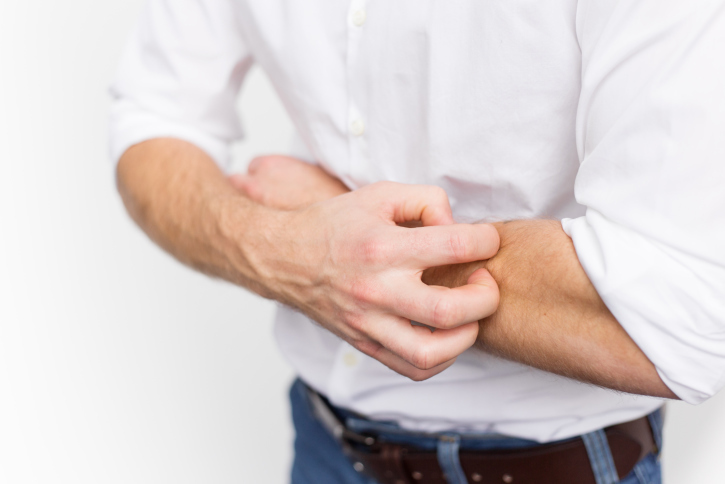 Itchy skin can be more serious than it may appear, especially if it is accompanied by inflammation or blisters. 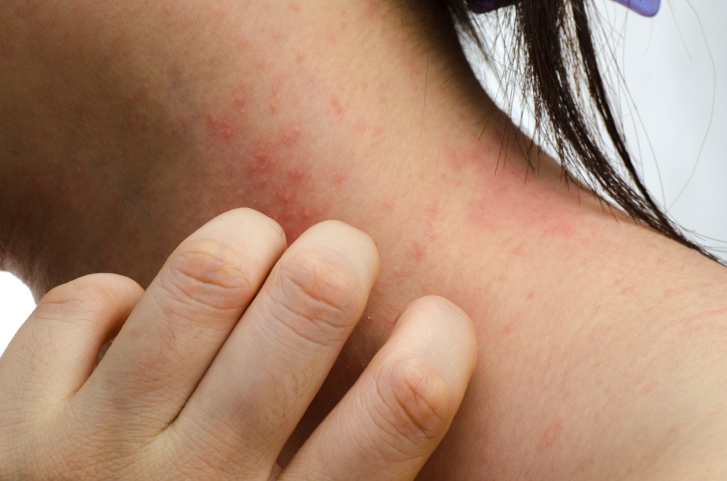 These symptoms can sometimes point to dermatitis. 1. Wearing non-irritating clothing. Loose-fitting clothing should be worn whenever possible and irritating fabrics that rub against the skin should be avoided. Clothing made of cotton, silk and even bamboo can be worn as these are smooth textured. While exercising, clothes designed to keep the skin cool should be worn as these will prevent excess sweat that can aggravate the eczema. 2. Avoiding harsh soaps and shampoos. These should be avoided because the strong chemicals that go into producing them can lead to itchy skin. Detergents containing harsh chemicals should be avoided and one should wear gloves before using any such soap while cleaning and washing. During a bath, the temperature of the water needs to be taken care of to prevent inflammation of the skin. Do not use very hot water. 4. Meditation can be a key factor in keeping stress levels at bay. 6. Drinking plenty of water. This helps the skin stay hydrated. Eating foods that contain omega 3 fatty acids and vitamins also help maintain skin integrity.
. Handout on Health: Atopic Dermatitis. 2015. Handout on Health: Atopic Dermatitis. [ONLINE] Available at: http://www.niams.nih.gov/Health_Info/Atopic_Dermatitis/. [Accessed 01 October 2015].
. Atopic dermatitis: MedlinePlus Medical Encyclopedia. 2015. Atopic dermatitis: MedlinePlus Medical Encyclopedia. [ONLINE] Available at: https://www.nlm.nih.gov/medlineplus/ency/article/000853.htm. [Accessed 01 October 2015].
. Fast Facts About Atopic Dermatitis. 2015. 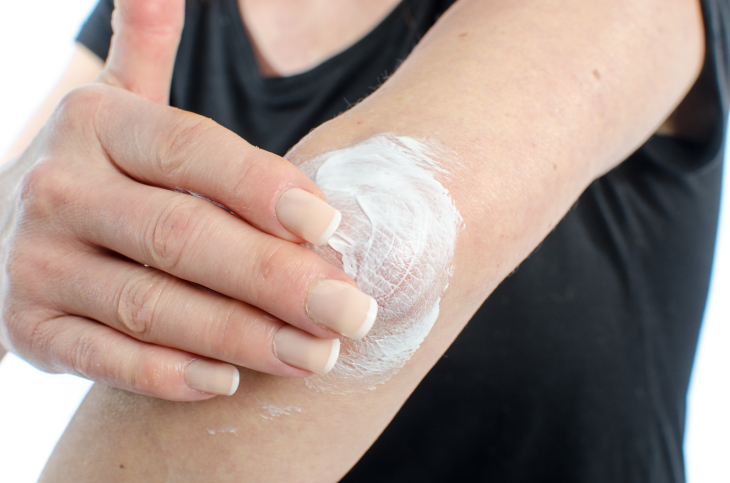 Fast Facts About Atopic Dermatitis. [ONLINE] Available at: http://www.niams.nih.gov/Health_Info/Atopic_Dermatitis/atopic_dermatitis_ff.asp. [Accessed 01 October 2015].
. 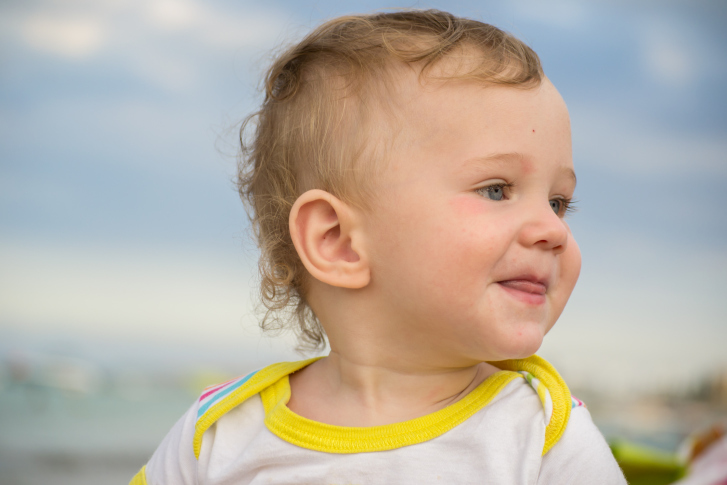 Skin Problems in Children. 2015. Skin Problems in Children. [ONLINE] Available at: https://my.clevelandclinic.org/childrens-hospital/health-info/diseases-conditions/hic-Taking-Care-of-Childrens-Skin-Problems. [Accessed 01 October 2015].
. Psychodermatology: A Guide to Understanding Common Psychocutaneous Disorders. 2015. Psychodermatology: A Guide to Understanding Common Psychocutaneous Disorders. [ONLINE] Available at: http://www.ncbi.nlm.nih.gov/pmc/articles/PMC1911167/. [Accessed 01 October 2015].
. Atopic dermatitis - self-care: MedlinePlus Medical Encyclopedia. 2015. Atopic dermatitis - self-care: MedlinePlus Medical Encyclopedia. [ONLINE] Available at: https://www.nlm.nih.gov/medlineplus/ency/patientinstructions/000418.htm. [Accessed 01 October 2015].